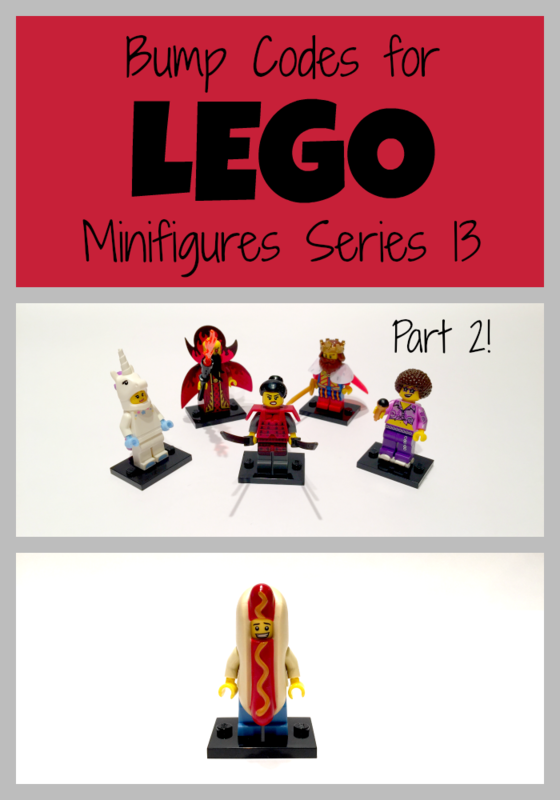 It took a while, but I finally found the rest of the LEGO minifigures series 13 bump codes. Initially we found everyone except the Hot Dog guy. It took a third trip to the LEGO store at the Mall of America to find him. We talked to one of the gals working there and it seems he’s pretty difficult to find. Below I’ve listed the remaining LEGO minifigures series 13 bump codes and tips on what to feel for in each mystery bag. On the Unicorn Gal, you’ll be able to feel the mane, tail, horse hat thingy, and horn. 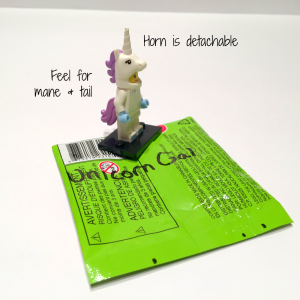 The horn is detachable, so don’t mistake it for a sword or some other weapon. The King’s crown was easy to feel. His beard is a ring, but the Sheriff also has a mustache ring, so be sure to feel for the two things. Doesn’t this guy look like the Burger King used to back in the 80s? 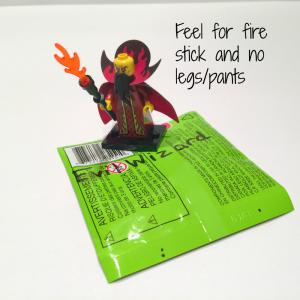 This guy is called the Evil Wizard, but of course I call him Ming the Merciless. 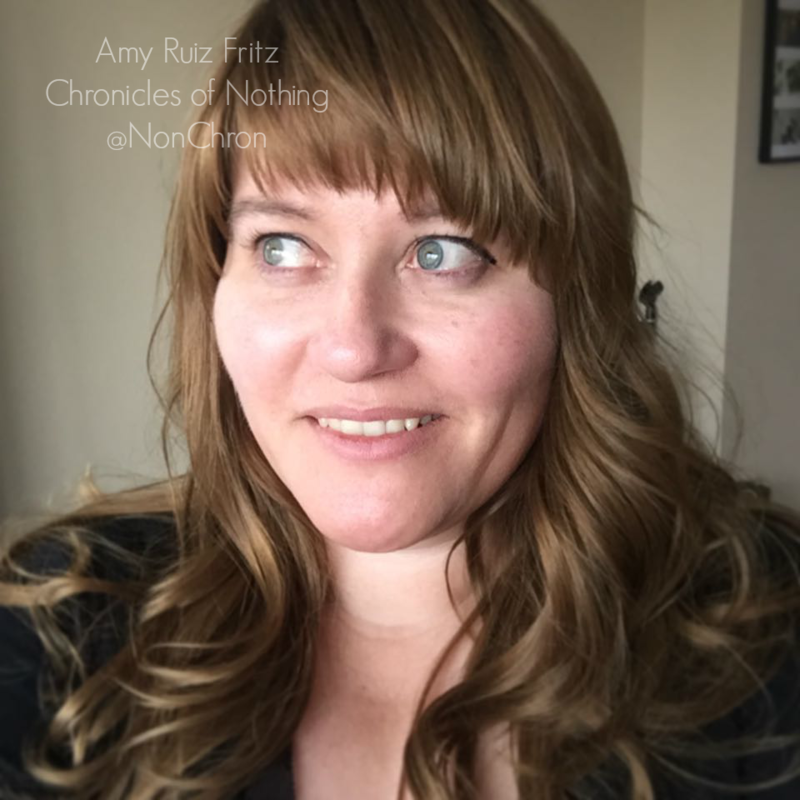 Do you have the Flash Gordon song stuck in your head? Sorry, not really. Anyway, feel for his stick with the fire in it. The fire is detachable. And remember, this guy is wearing a gown, so if you feel legs in the bag, you’re not holding the Evil Wizard. I love that the Disco Diva is wearing roller skates. Of course, they’re just painted on, so don’t try to feel for them. 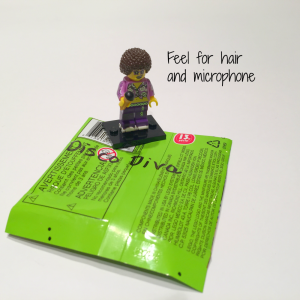 You will feel her totally groovy hair and microphone. Cue the disco music! 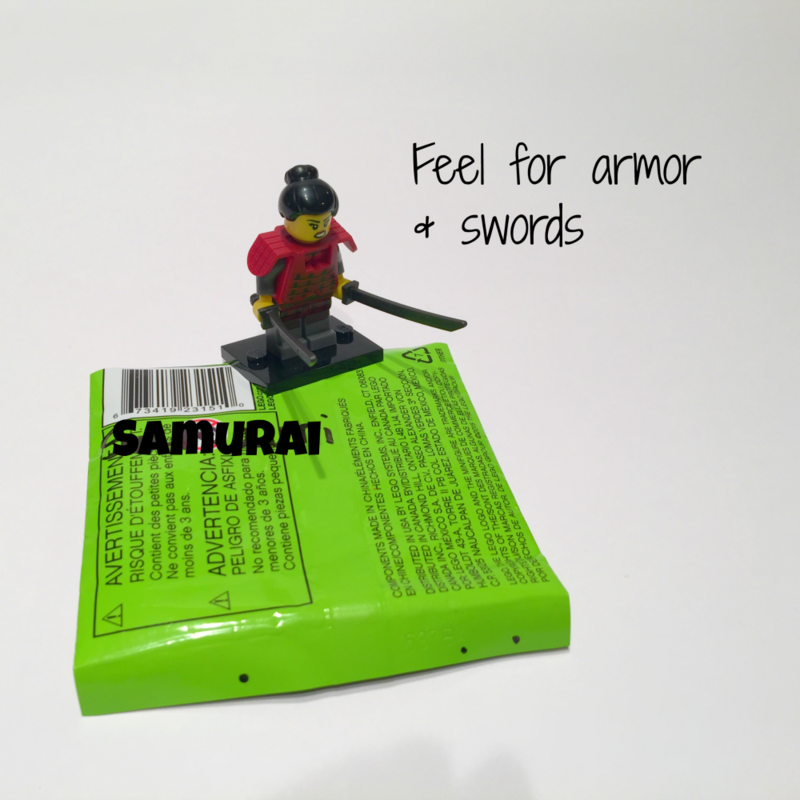 The Samurai is easily found because you will feel her armor and swords. 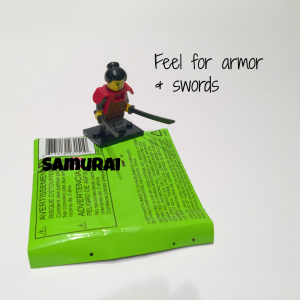 The armor is an odd shape, so you might not be sure what you have in your have. Try to find the swords to be sure. I’ll be honest. I sort of confused the Hot Dog guy and the Samurai. 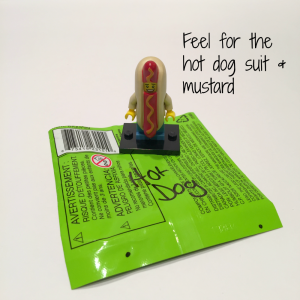 Her armor and his suit are both oddly shaped, but you will be able to feel the mustard swirl on the Hot Dog suit. 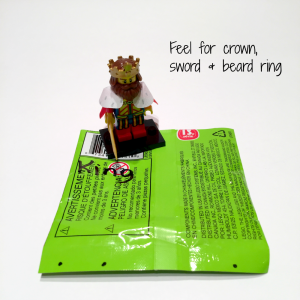 Looking for different lego minifigures series 13 bump codes? Here’s my previous post. Shout out from Guatemala… Thanks your bump codes never fail me!